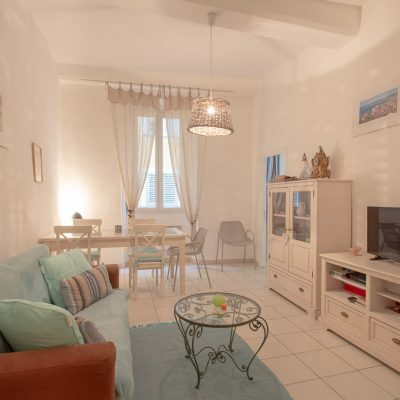 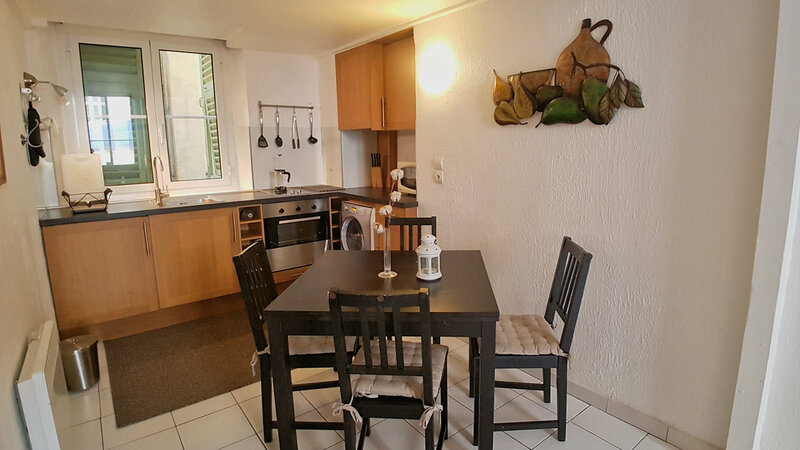 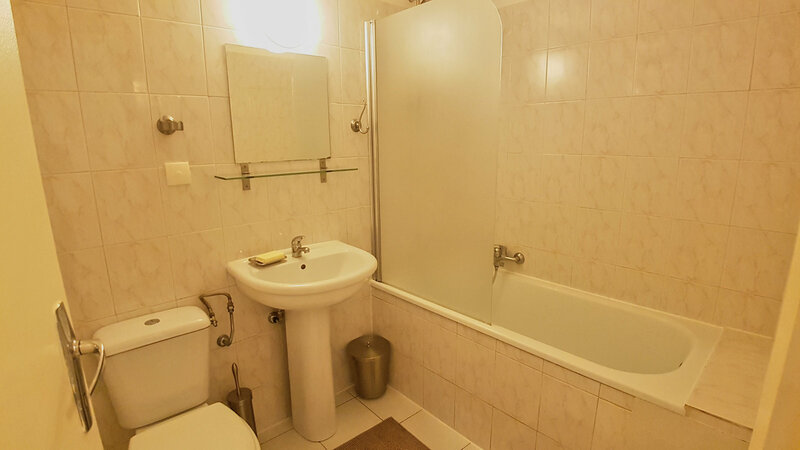 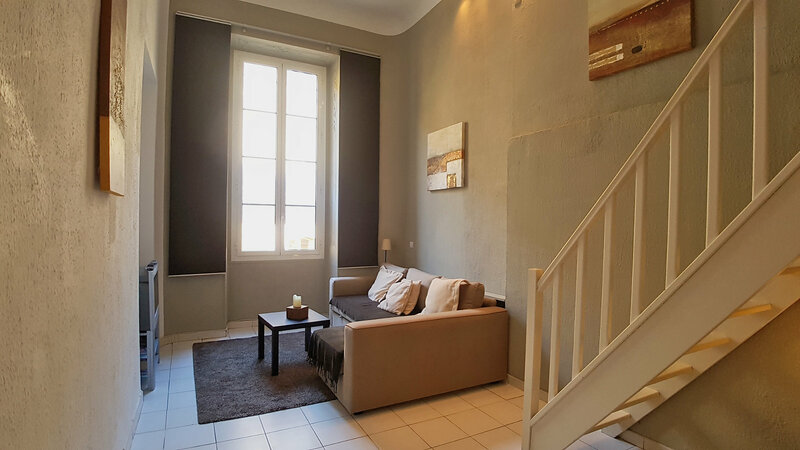 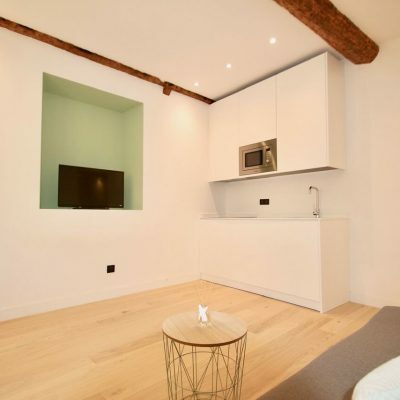 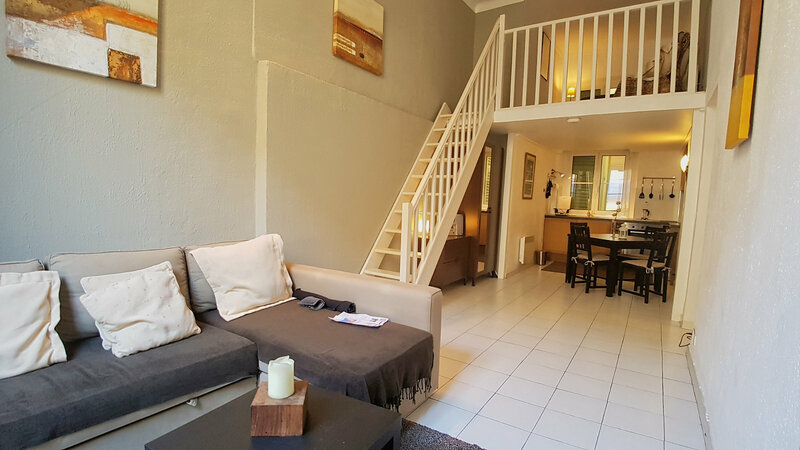 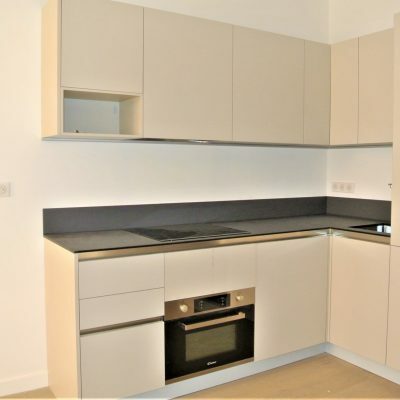 This smart one bedroom apartment for sale is in a great location in the Old Town of Nice. 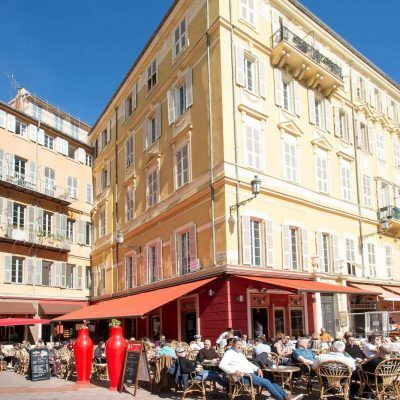 It is a couple of minutes from the beach, and the view is directly onto the Palais des Justice, the main courthouse. 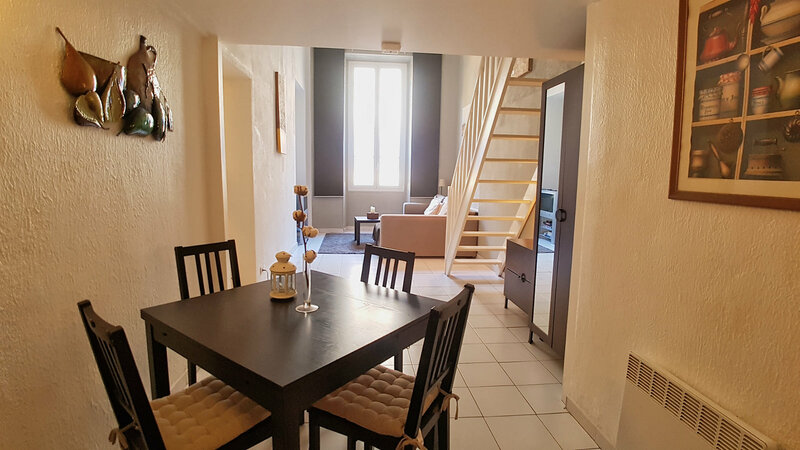 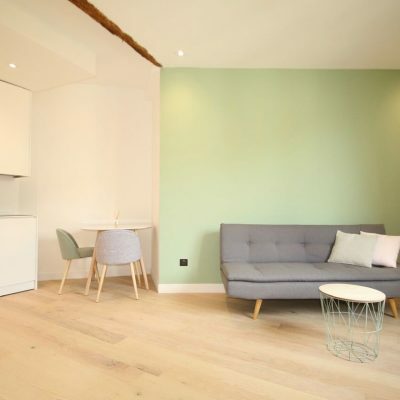 The apartment is in good condition, with a modern look and feel. 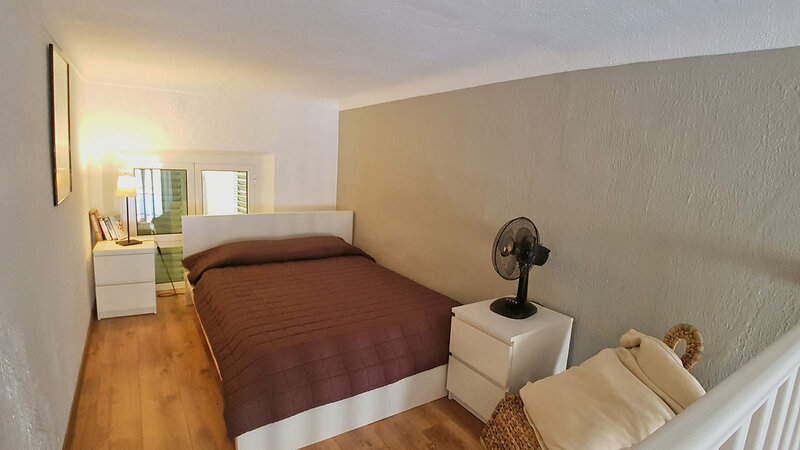 The bedroom is "mezzanine" but the ceilings are high and even tall people will have no trouble standing up straight. 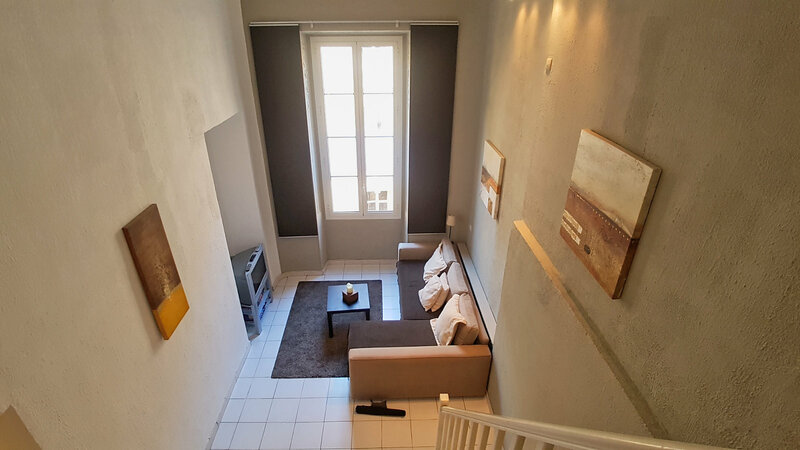 This is a nice "ready to go" pied-a-terre.